At age 34, I suffered a stroke. The doctors at the Department of Veterans Affairs hospital prescribed many pharmaceutical drugs. None of them provided any relief, although several did succeed in burning a hole in my stomach. One of my doctors at the V.A. informed me that cannabis had a successful history in treating complex migraine seizures. Although most people do not have safe access to this medicine, I was lucky. The Veterans Affairs hospital had several patients who were advised - unofficially - to use cannabis, and they even had their own smoking section. I tried it and found immediate relief. Within a few days I had stopped taking all the pharmaceuticals, and I felt much better. Then came the realization that most patients cannot acquire this medicine. Hoping to help others find the relief that I experienced, I started working with the National Organization for Reform of Marijuana Laws. Over thirteen years of working with NORML gave me Ph.D. equivalents in street pharmacology, contraband legislation, and the politics of pharmaceuticals. When a Virginia judge told me that I should change the laws that I don't like, my direction was set. After spearheading campaigns in both California and Washington, D.C., I came to Maui. It became obvious that Hawaii's climate, geographic isolation, and aloha spirit could create a wonderful model for a functional medical marijuana program. I founded Patients Without Time (in 2004) initially to help patients navigate the Blue Card process. PWT quickly expanded into an educational and advocacy group, giving birth to Maui County Citizens For Democracy In Action. Two major projects have been the focus of our work - the Medical Marijuana Database and the Maui Family Farm Plan. We often use the words "cannabis" and "marijuana" in the singular, when, in fact, they represent countless varieties of a very versatile plant. While some have minimal medicinal value, many others exhibit curative properties for specific ailments. Researchers at PWT track patient and grower testimonials to cross reference ailments with medicinal genetics. Maui County Citizens for Democracy in Action crafted legislation to create a research task force, but Gov. Linda Lingle vetoed the bill. The Maui Family Farm Program was conceived to give all licensed medical marijuana patients reliable and safe access to their medicine. While the State of Hawaii provides a licensing process for medical marijuana, the state does not address how the patients can acquire their medicine. Fewer than 5 percent of the licensed patients are able to sustain a medical garden. Lacking any safe alternatives, 95 percent of the patients confront black-market risks that often prove dangerous. Under this ambitious program (Hawaii Sustainable Family Farm Act), a secured grow area would serve several patients who would otherwise be unable to maintain a cannabis crop. The facility would provide expert cultivation, support and extensive security services. Hoping to take marijuana cultivation out of the black market, this program would re-establish the Maui family farm as a viable economic base. MCCFDIA sent rafts of legislation through state channels, hoping to clarify the incomplete Hawaii state laws concerning medical marijuana. The law still does not address the issue of safe access for these licensed patients. In opposing our efforts at legislative reform, Maui Police Chief Thomas Philips repeatedly expressed his opposition to the Hawaii State medical marijuana laws. He has written that he does not believe in supporting medical marijuana in its entirety. Mayor Charmaine Tavares has suggested that picking and choosing which laws you do or do not enforce leads to anarchy. I agree. 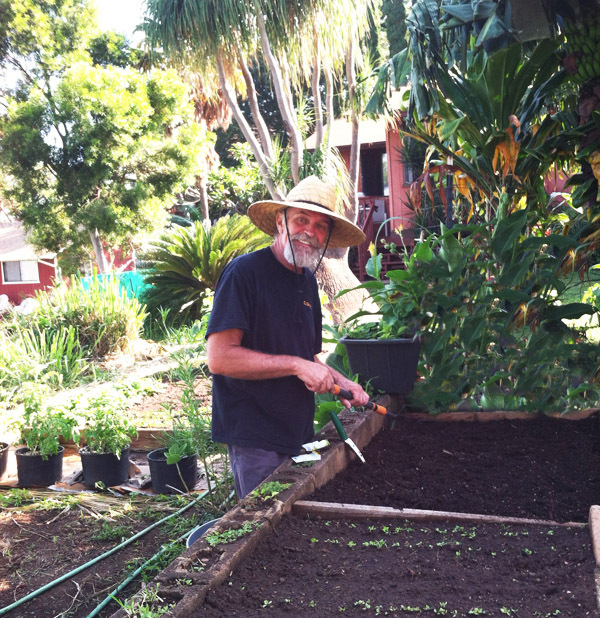 Envision an organic self-sufficient Maui! MCCFDIA video: The Initiative Process, Maui County, Hawaii.